If you or your loved one sustains personal injuries in a car accident in Miami, then you need to talk to a car accident attorney as soon as possible. You want to talk with some of the top accident lawyers in Miami because you may be entitled to damages compensation for your harms and losses. But until you speak with an experienced Miami car accident attorney, you will likely not know for sure. So you owe it to yourself and your family to get the best Miami car accident lawyer that you can find to help you pursue the compensation that you deserve. They have great credentials. There are two ways to learn about a lawyers' credentials. You can ask people you know for a word-of-mouth recommendation or search for a recommendation online. If you don't know anyone who has been injured in a car accident in Miami, the latter will work better. Just a quick online search will provide enough information on the past success of any law firm. Happy clients leave great reviews online. Find them and consider them. They are in the business for a while. While there are good lawyers among newcomers, you don’t want someone to learn the business on your case. No one wants to be a surgeon’s first patient, and no one wants to be a lawyer’s first personal injury client. Ensure that you hire an experienced Miami personal injury attorney to represent your case. What may be a lesson for a newbie lawyer, may mean the whole world for you and your family, so choose wisely. They are conveniently located. Is your lawyer's office located close to your home? Maybe you'll have to visit them at the office. Or maybe they'll need to come to visit you at your home or the hospital. Being conveniently located or accessible to you will make things easier. They offer free initial consultations. If a lawyer asks for fees for the initial consultation for a personal injury case, it is a red flag. Maybe you are not entitled to damages compensation, so why would anyone charge to let you know about that? 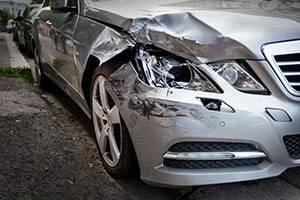 Top car accident lawyers in Miami always offer free initial consultations to let their potential clients know about their options before proceeding with recovery procedures. They care about clients’ best interests. The first consultation will give you a gut feeling about how much the lawyer cares for clients' interests. Some lawyers are in the business for helping people and getting paid for that; others are only for the money. Aside from the consultations, you can figure out their intentions by the way they have gotten you to talk with them. Some law firms hire people to poach clients in hospitals or at the scene of the accident. This is illegal. Do not expect to get good treatment from these lawyers. They ask for fees only when they recover damages. The top car accident lawyers in Miami will always be confident in their abilities to recover damages for their clients. From their longtime experience, they know what case qualifies for recovery. If they think that your case doesn't qualify, they'll let you know at no cost. If they believe that you have good chances for financial recovery, they will charge fees only in case of success. The Miami car accident lawyers at the Wolfson Law Firm offer you free consultations to start the financial recovery process at (305) 285-1115. Learn about your options before deciding what to do next. You'll pay nothing unless we recover for you.